" Let Us Make Your Move "
What matters most to YOU matters most to US! We have lots of tools and tips to help with your move. WELCOME TO BEST L.A. MOVERS! Thank you for your interest in Best L.A. Movers, Moving Company. 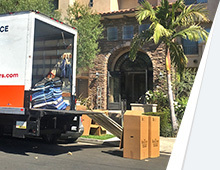 Best L.A. Movers has been providing a quality moving services to our customers since 2001. A completely satisfied moving customer begins with our professional, courteous and qualified moving consultants and continues to the time that the movers are finished with the relocation process. Once we have moved you, we then strive to keep you as a friend and customer in the moving business. Our movers are among the best at furniture packing and moving. They work only for Best L.A. Movers as they ARE NOT day workers. We base our foundation on repetitive quality customer service along with “word of mouth” referrals. In the effort of providing our customers with an efficient and professional level of moving service within one’s budget and beyond that of other moving companies, we offer our moving services at an hourly rate or a flat itemized guaranteed rate. 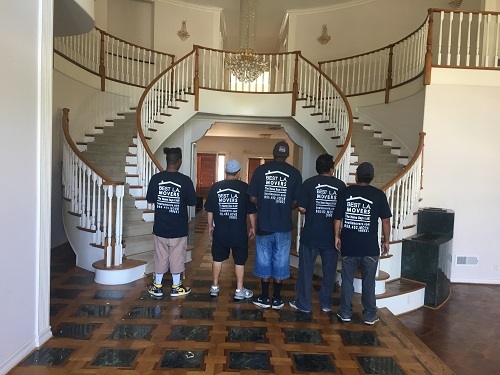 Whether working with our local movers, long distance experts or any of our customer service professionals, you’ll find that our goal is always the same: be the best at what we do, and success will follow. Our highly trained Move Counselors are available around the clock to answer all your questions. 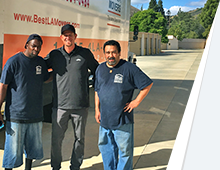 Best LA Movers believe “Customers define; we deliver it.” That means we purposefully look at everything we do through the eyes of those we serve. Quality is ever-evolving and every-changing, so we, too, must continue to change in order to elevate our customers’ experience While you are busy finishing the details of the new home or office, exploring schools before relocating your family, our experienced local and long distance movers are working to give you the freedom to focus on what’s truly important to you. At Best L.A. Movers, we never stop moving forward! 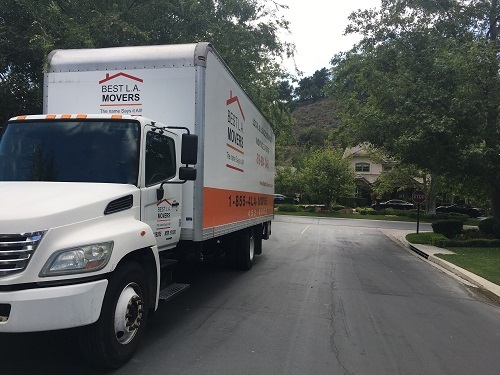 Whether you are moving one item or needing a complete box packing service with your move, Best L.A. Movers can definitely handle this in such a manner which is sure to gain your repeat moving needs. When you are trying to choose the right local moving company or a long distance moving company to handle your move, a previous moving customer or repeat moving customer’s referral speaks in volumes and for itself. In most cases, our moving company is among only a few select moving companies in which our customers call back and request the same mover. In addition, we are an apartment mover, office mover and residential mover that continue to grow by not only handling a small move or large move, but by doing so in such a way that you receive a stress free move which is followed through to complete satisfaction. Please remember if you receive a lower moving quote with the same standards and credentials as our moving company, please provide us with their written quote and we will try our best to meet or beat such mover’s quote. Best LA Movers wants to guarantee that YOU get the best quote for your move. If you find a comparable competitor's reasonable written estimate that is better than our quote, we will be prepared to offer you 10% off the difference between the two quotes. 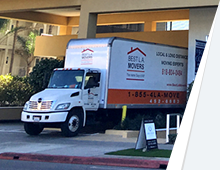 Contact Best LA Movers today to find out more! !